Marshall, Tabitha. "Oka Crisis". The Canadian Encyclopedia, 28 January 2019, Historica Canada. https://www.thecanadianencyclopedia.ca/en/article/oka-crisis. Accessed 23 April 2019. 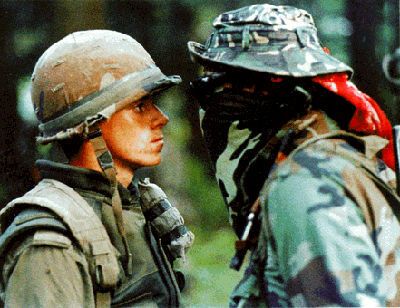 The Oka Crisis, also known as the Mohawk Resistance, was a 78-day standoff (11 July–26 September 1990) between Mohawk protesters, police, and army. At the heart of the crisis was the proposed expansion of a golf course and development of condominiums on disputed land that included a Mohawk burial ground. Tensions were high, particularly after the death of Corporal Marcel Lemay, a Sûreté du Québec police officer. Eventually, the army was called in and the protest ended. The golf course expansion was cancelled, and the land purchased by the federal government; however, it has not yet been transferred to the Kanesatake community. There was a long history behind the crisis at Oka; since the 18th century the Mohawk had been pressing the government to recognize their right to land in the area, but their requests had been largely ignored. In 1961, a nine-hole golf course was built on land that had been claimed by the Mohawk of the Kanesatake reserve as their Commons (known as the Pines); despite protests that the land included a burial ground, the Mohawk claim was rejected, and the golf course was built. In 1989, the mayor of Oka, Jean Ouellette, announced that the golf course would be expanded to 18 holes. He also authorized the construction of 60 luxury condominiums in the Pines. Despite protests by the Mohawk of Kanesatake, and concerns expressed by the Québec Minister of the Environment and Minister of Native Affairs, construction was scheduled to begin. In order to halt further development of the Pines, a group of militants from the Kanesatake reserve, known as the Mohawk Warriors, constructed a barricade, blocking access to the area. Mohawks from two other reserves — Kahnawake and Akwesasne — joined the protest, helping man the barricades. After two injunctions to remove the roadblock were ignored, the mayor of Oka asked the provincial police force, the Sûreté du Québec (SQ), to intervene. On the morning of 11 July 1990, the SQ attacked the barricade, using tear gas and concussion grenades to create confusion (although the gas blew back towards the police). During the brief gunfight that followed, SQ Corporal Marcel Lemay was killed and the SQ retreated. It was unclear who fired the first shot or who killed Lemay. Resistance continued, with Indigenous supporters from across the country joining the Mohawk Warriors at the barricades. The SQ constructed their own blockades on roads leading to Oka and the Kanesatake reserve. Mohawk from the nearby Kahnawake reserve blockaded the Mercier Bridge in support, effectively cutting off access between Montreal’s southern suburbs and the Island of Montreal. The resulting chaos angered local residents, and relations between Indigenous and non-Indigenous people in the area worsened. The SQ had to deal not only with the barricades, but also with frustrated and hostile civilians who often blamed them for the situation. At the same time, the demands of the protesters expanded to eventually include full sovereignty. As it became increasingly clear that the SQ could not resolve the crisis, the RCMP was brought in to assist them in mid-August. At the same time, Québec Premier Robert Bourassa requested the help of the Canadian armed forces and 2,500 regular and reserve troops were put on standby. On 20 August, about 800 members of the Royal 22e Regiment (the “Van Doos”) took over from the SQ at the Kahnawake and Kanesatake barricades, assuming a position only metres from the warriors. Facing increasing numbers of soldiers at the Pines and elsewhere in the Montreal area, as well as reconnaissance aircraft above, the protesters were under heavy pressure. By 29 August, negotiations had put an end to the blockade of the Mercier Bridge. However, Mohawk resistance continued, with a number of Warriors as well as some women and children taking refuge in a residential treatment centre for drugs and alcohol in Kanesatake. The protest ended on 26 September 1990. That day, CBC	journalist Neil Macdonald reported from the scene that 28 Warriors, 16 women and six children suddenly left the centre, surprising the army command, which had expected an orderly surrender. Several Warriors were detained by the military, and a number were later charged by the SQ. Five were convicted of crimes including assault and theft, although only one served time in jail. During the confusion, 14-year-old Waneek Horn-Miller was stabbed in the chest by a soldier’s bayonet. She had been carrying her four-year-old sister, Kaniehtiio, to safety after weeks behind the barriers while their mother, Kahn-Tineta Horn, served as a negotiator. The incident became front-page news with the photograph of Waneek published in newspapers across the country. There was substantial media coverage of the Oka Crisis across the nation, and public opinion varied widely. Many Quebeckers, especially those living in the immediate area, were angered by the blockades. In one incident, local residents stoned about 75 cars — containing mostly women, children, and the elderly — as they tried to leave the Kahnawake reserve (see Alanis Obomsawin's film Rocks at Whiskey Trench). 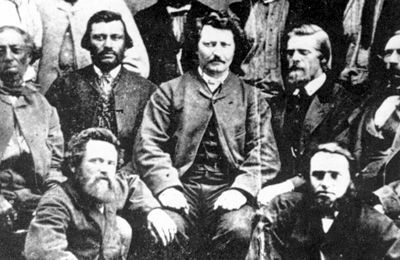 However, others sympathized with the protesters, including John Ciaccia, the Québec Minister of Native Affairs at the time. Protests were held across the country in support of the Mohawk, with blockades in British Columbia and northern Ontario. During the crisis, the federal government agreed to purchase the Pines in order to prevent further development. The golf course expansion and condominium construction were cancelled. After the crisis had ended, the government purchased a number of additional plots of land for Kanesatake. In 2001, the Kanesatake Interim Land Base Governance Act confirmed that the land was to be reserved for the Kanesatake Mohawk. However, it did not establish the land as a reserve, and there has been no organized transfer of the land. Investigations held after the crisis revealed several problems in the SQ’s handling of the situation, including command failures and prejudice among SQ members. It has never been discovered who fired the shot that killed Corporal Marcel Lemay. The Oka Crisis played an important role in the establishment of the Royal Commission on Aboriginal Peoples. This in turn contributed to new agreements between governments and Indigenous peoples, including the Paix des Braves (Peace of the Braves) between the Grand Council of the Crees and the Quebec government. Since Oka, federal and provincial governments have developed greater awareness of the territorial rights of First Nations and the need to consult Indigenous peoples when considering development projects. Overall, the crisis made more Canadians aware of Indigenous rights and land claims; it also illustrated the potential for future conflict if such claims were not resolved in a timely, transparent and just manner. The Oka Crisis, also known as the Mohawk Resistance, inspired Indigenous peoples across Canada to take action. For example, Oka has been linked to the Idle No More movement, as well as demands for an inquiry into missing and murdered Indigenous women in Canada. Some experts suggest that the Oka Crisis had an impact outside Canada as well. According to University of Ottawa professor Marcelo Saavedra-Vargas, Oka was an “awakening” that has inspired indigenous movements elsewhere, including Bolivia. Alfred, Gerald R. Heeding the Voices of Our Ancestors: Kahnawake Mohawk Politics and the Rise of Native Nationalism (1995). Ciaccia, John. The Oka Crisis: A Mirror of the Soul (2000). Goodleaf, Donna. Entering the Warzone: A Mohawk Perspective on Resisting Invasions (1995). MacLaine, Craig, Michael Baxendale and Robert Galbraith. This Land is Our Land: The Mohawk Revolt at Oka (1990). Swain, Harry. Oka: A Political Crisis and Its Legacy (2010). York, Geoffrey and Loreen Pindera. 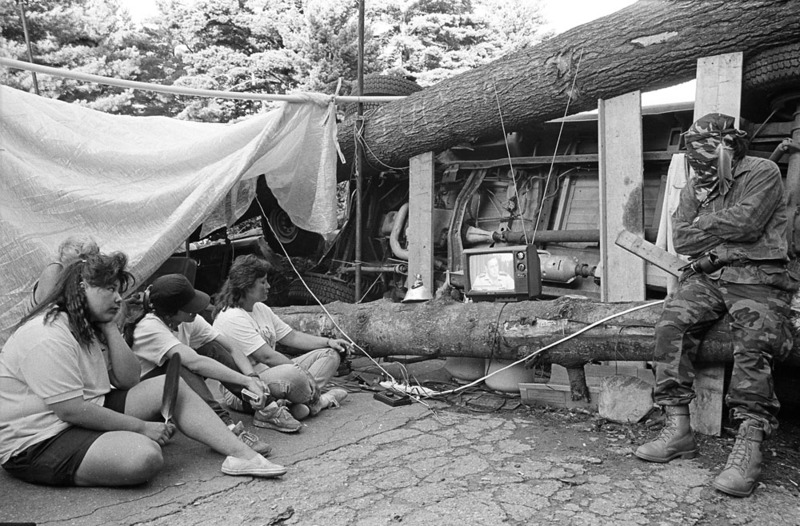 People of the Pines: The Warriors and the Legacy of Oka (Toronto, 1991). MacLeod, Alec. Acts of Defiance (film, 1992). Obomsawin, Alanis. Kanehsatake: 270 Years of Resistance (film, 1993). Obomsawin, Alanis.Rocks at Whiskey Trench (film, 2000). Welsh, Christine. Keepers of the Fire (film, 1994). KanehsatakeA brief profile of Kanehsatake, a Mohawk settlement on the shore of the Lake of Two Mountains at the Ottawa River in southwestern Quebec. From the Iroquois Indian Museum. What did we learn?A news feature that recounts major events and issues of the Oka crisis that occurred 10 years earlier and considers lessons learned from that episode. From canada.com. Aboriginal Arts & StoriesCanada's largest essay writing competition for Aboriginal youth (ages 14-29) and a companion program for those who prefer to work through painting, drawing and photography. See their guidelines, teacher resources, profiles of winners, and more. From Historica Canada. From Oka to Caledonia: Assessing the Learning Curve in Intergovernmental CooperationRead a paper that examines the interactions between government officials and First Nations leaders involved in the Oka and Caledonia crises. Also summarizes subsequent changes to government policies concerning Aboriginal issues. From the Canadian Political Science Association. Kanehsatake: 270 Years of ResistanceAn action-filled documentary that provides a straightforward account of the armed stand-off between the Mohawks, the Quebec police, and the Canadian army in the 1990 Oka crisis. From the National Film Board of Canada. Fact Sheet - Progress Report - KanesatakeThis site chronicles negotiations and agreements concerning land claims issues involving municipal, provincial and federal levels of government and the Mohawk community of Kanesatake/Oka. From the Government of Canada website.